Note: If you haven't read this series yet, the information below can slightly spoil the first book. You've been warned. Zayne has been helping Layla get over the loss of Roth by trying to be there for her. And she feels safe knowing nothing can happen with this relationship for two reasons. One - she would take his soul if they tried to kiss. And two - he's never seen her as more than a little sister. But when Roth returns, suddenly, Zayne's become more than defensive when trying to protect Layla. And Layla's begun to realize that she's not the only one with romantic feelings. After putting the romance part aside, the plotline pretty much continues with where the first one left off. A ritual was performed at the end of the first one which could have resulted in something even more dangerous than Layla. Something that could take souls and create wraiths to control. But did the ritual ever come to completion? Or are Layla's powers just increasing? I think I'm team Roth all the way. As fun as it's been to learn about gargoyles, I think they're a lot of macho heads living in a masculine world. And I really don't go for that. I'm sure team Zayne people are wondering why I don't think the same thing about Roth. Well, he's a demon; so he's cooler. Anyways, I was entertained from the beginning to the end. And I wasn't sure if this was five star material until I spent the next day thinking about the book and how epic it was. Yep, I loved it. I need book three now. 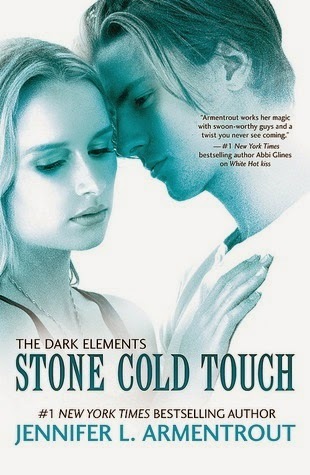 Those who haven't read this series and like paranormal romance are really missing out. I recommend this series, definitely.